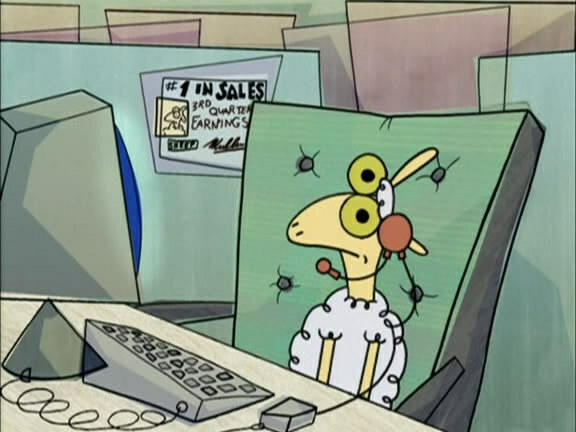 This is the thread for when we haven't got anything to say about band announcements or whatever but just want to enthuse wildly about Indietracks in a generic and unfocused manner. Again, but said thread is put in the Indietracks 2008 forum, so I thought we could do with a new one. Where I could share the fact that our tickets have arrive a long time ago. (Yay!) And that, after the Sunday Times, also The Guardian has written about Indietracks. The Times wrote: a fashion-conscious crowd. Heh, I'm sure those in the know (especially Astrid) would be more likely to define me as fashion-unconscious. Hehe, I did react to it reading it in that article. You know me so well. Ok, here goes; eeeeeeeeeeeeeeeeeee! I'm going to indietracks! After convincing my girlfriend that she really does want to go to a festival where she only knows one band (Camera Obscura and luckily she likes them) I've just emailed the golden valley campsite to book a tent pitch for the three nights. I've still got to book tickets but I'm hoping to do that after I get paid this week or next (hopefully it wont sell out before then). Are there nice walks around the festival site or campsite? susanb wrote: Ok, here goes; eeeeeeeeeeeeeeeeeee! I'm going to indietracks! Exactly the same things has just happened to me. Except my girlfriend doesn't like Camera Obscura, and I have booked festival tickets but no camping yet. In the Guardian again. And your words of the day are: 'twee', 'Belle and Sebastian', 'cardigan'. Tim Jonze also writes for the NME. sweepingthenation wrote: In the Guardian again. Indie Guitar Music Festival, eh? Whoever thought of that name must be really pleased with themselves. Only 7,000 tickets, eh? So it's bigger than ATP, End Of The Road, Secret Garden Party and Summer Sundae, to name four much more highly regarded and longer established festivals. Another example of which is Truck Festival, which takes place in the same county on the same weekend. Still, I bet Stuart's thinking again about that cheerleading workshop now. Is this a festival where everyone involved plays an Indie Guitar then? I see I could win me an Indie Guitar if I went. featuring my all time favourite indie guitar band, Mungo Jerry. Indie, or Independent: Meaning - Separate and different from the rest, non-corporate, free of mind and free to express oneself as an individual. Free to express an Independent attitude, without being categorised. 'Indie' was originally a name given to small independent record labels in the UK and then subsequently became a name given to the style of music played by 'cool' guitar influenced bands. In musical terms Indie music is always changing and developing, always guitar based or guitar influenced. 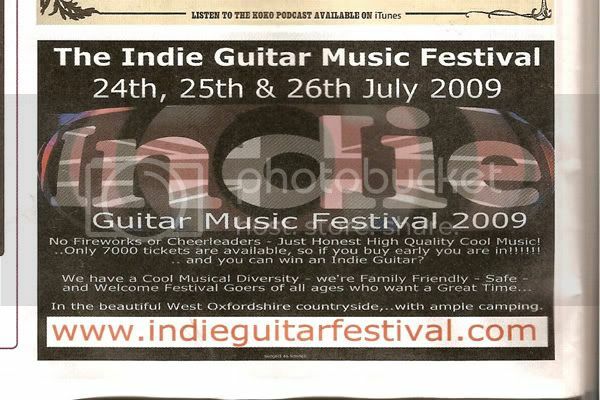 The Indie Guitar Music Festival is a sister company of The Indie Guitar Co Ltd. The festival stands for everything we believe in…. It’s fiercely Independent, non-corporate and free to express itself without being categorised. It’s not an ‘Indie music only’ festival, but we do prefer to be associated with Independent minded bands and musicians. An Indie customer is usually an Indie (Independent) type person, an individual who is freestanding and chooses not to follow the masses! . . . a person with a bit of attitude. I'm definitely an Indie customer. JamieC wrote: An Indie customer is usually an Indie (Independent) type person, an individual who is freestanding and chooses not to follow the masses! . . . a person with a bit of attitude. The perfect description of Paul Carrack and Starsailor. Hello! I never really got beyond posting to 'Introduce Yourself' here, mainly due to a problem whereby my computer at work logs me out seconds after I log in. Aaaanyway.. I am planning to attend Indietracks this year with my g/f who will be around 5 months pregnant at the time.. is this a good idea?? She's not a Huge indiepop fan so I already sort of half feel that she only agreed to attend out of kindness to me and then added to that I fear forcing her to travel a reasonable-enough distance with baby-in-waiting is a human rights violation of some kind (I exaggerate but you get the point). But then I tell myself that she is only pregnant and still able to live a normal life and that I am overreacting like some sort of stupid Daily Mail reader. Anybody had similar experiences in the past? Hello! My wife will be 5 weeks before her due date, and we're going on the Saturday. It's not a hectic festival at all, so if your girlfriend needs to have a sit down there'll be no problems doing that. Plus, she won't have to walk hardly any distance from one stage to the next. a layer of chips wrote: Hello! My wife will be 5 weeks before her due date, and we're going on the Saturday. It's not a hectic festival at all, so if your girlfriend needs to have a sit down there'll be no problems doing that. Plus, she won't have to walk hardly any distance from one stage to the next. Ta, this is pretty much exactly what I wanted to hear. Was just going through the over-protective/worrying routine I guess. Although it was so hot last year that I almost gave birth, and I wasn't even expecting. Or female. Beware the tin church. tompony wrote: Although it was so hot last year that I almost gave birth, and I wasn't even expecting. Or female. Beware the tin church. I am under the assumption that England couldn't possibly have two nice summers in a row, so am not considering that a problem right now. Having re-read my original post I must add that my g/f does like Hefner, POBPAH, Camera Obscura so it's not like I'm some sort of indiepop Grant Mitchell forcing her to endure this against her will. Grant Mitchell was the best example I could come up with. I'm not proud of that. remember the EMERGENCY SERVICES last year? standing around watching Darren Hanlon and eating ice creams? i still haven't got my TIX but i have booked my camping. i'm one dole check away from my tix. thank's mr brown! Just got paid, and bought me and my lad tickets for this year. Yay! Indie Guitar Music Festival has been cancelled. Don't worry everyone, our tickets will be refunded.